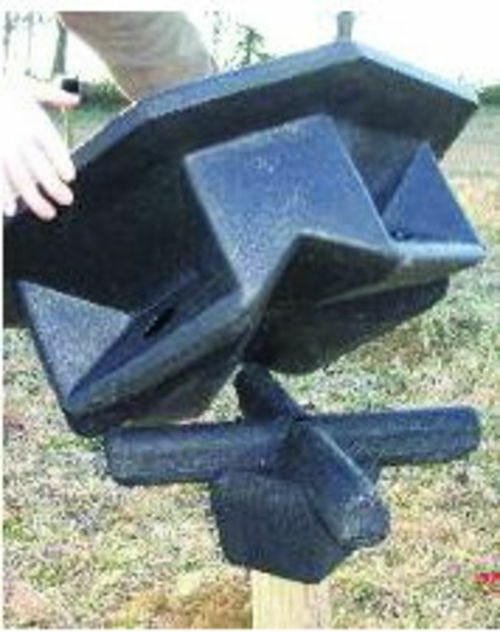 Hanging Extreme Feeder (Shown) holds 25 pounds of feed. 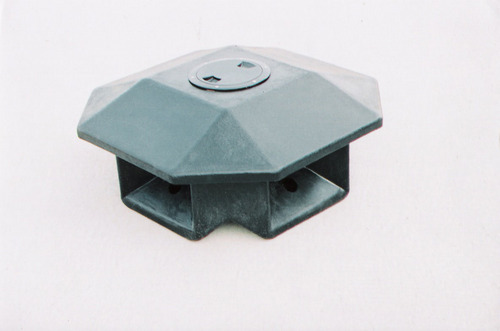 Hanging feeders reduce waste and are ideal for any age of birds. Easily raise or lower to any height. Hanging Extreme Feeder is Red. Small Extreme Feeder holds 25 lbs of feed. The new lid reduces issues of sticking in cold weather. It will hold approximately 25 pounds of feed. Also, the Small Extreme Feeder is compatible with the current Extreme Feeder Stand. Small Extreme Feeder is Red. Overal measurements are 19 1/2 x 19 1/2 x 10 1/8"
The Extreme Feeder is easy to move, weighing only 10 lbs. and has a 50 lb. feed capacity. Overall measurements are 27" x 27" x 12". 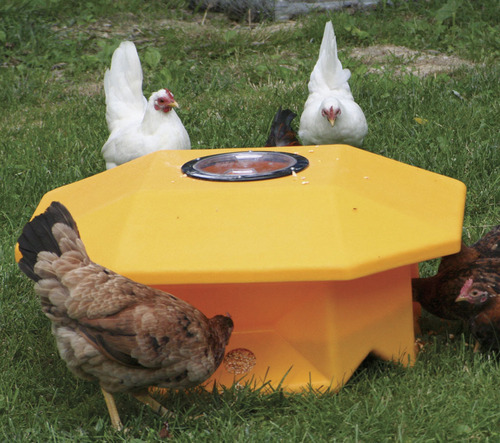 A great way to put out extra feed in the yard for that long weekend away from the flock. Works well with the Extreme Feeder Stand. Available in in Yellow or Black. All feeders have the same lid now. How many feeding "ports" do these feeders have? It does not say on the description. 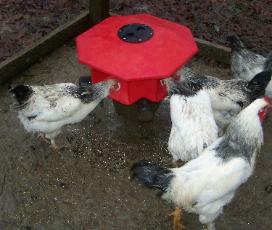 I have 5 hens and would like them to each have a feed port. There are 4 feeding holes (ports) per unit - one on each side. Will this style of feeder work for ducks? The Extreme Range Feeder may not work as nicely for ducks. Ducks prefer to "scoop" the feed with their bills, and the feed openings are round in shape, that it may be more difficult for the ducks to manipulate their bills. I need to replace the rubber seal on top of my feeder. Do you know where I can order one from. You can order it through us, but it's a special order item. So you will need to call us with your information to order seal. 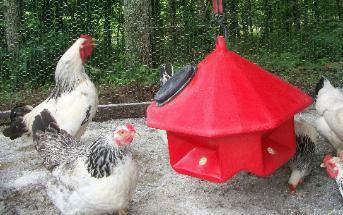 hanging extreme feederworks great feed is dry and less spillage and waste of feed.